Decorative Door Products is the home of the largest range of door decoration products for the UK and European market with a vast array of stunning glass, a unique door colour system and the latest development, Inox Glazing, which gives a truly modern look to a plain GRP door slab. 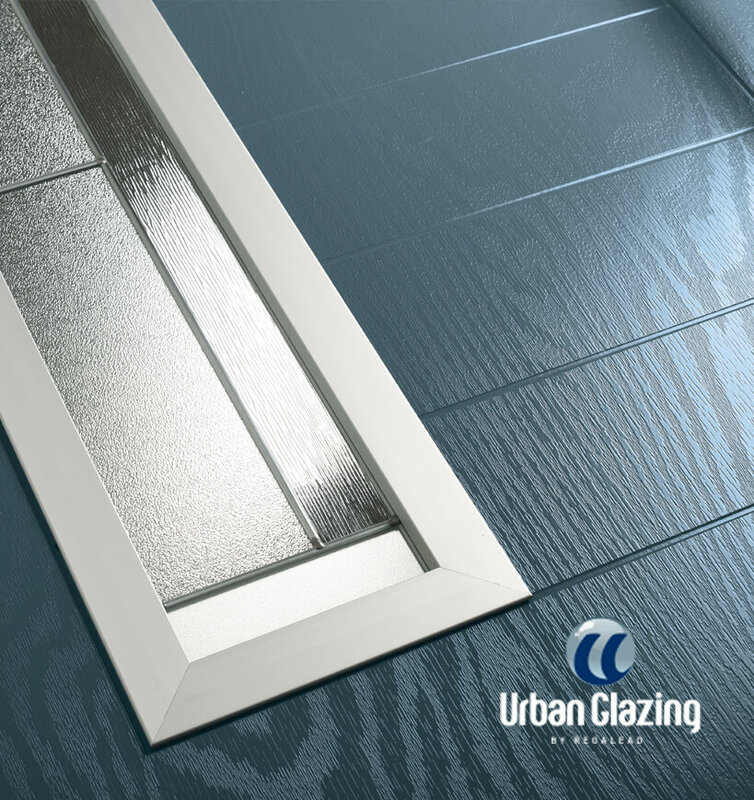 As a division of RegaLead we draw on over 30 years of experience in the UK window and door market with a philosophy of providing world class products which add value through decoration. Alluminium Glazing System. The truly contemporary glazing solution. With a choice of ten frame finish colour options to fit elegantly around seven glass sizes. 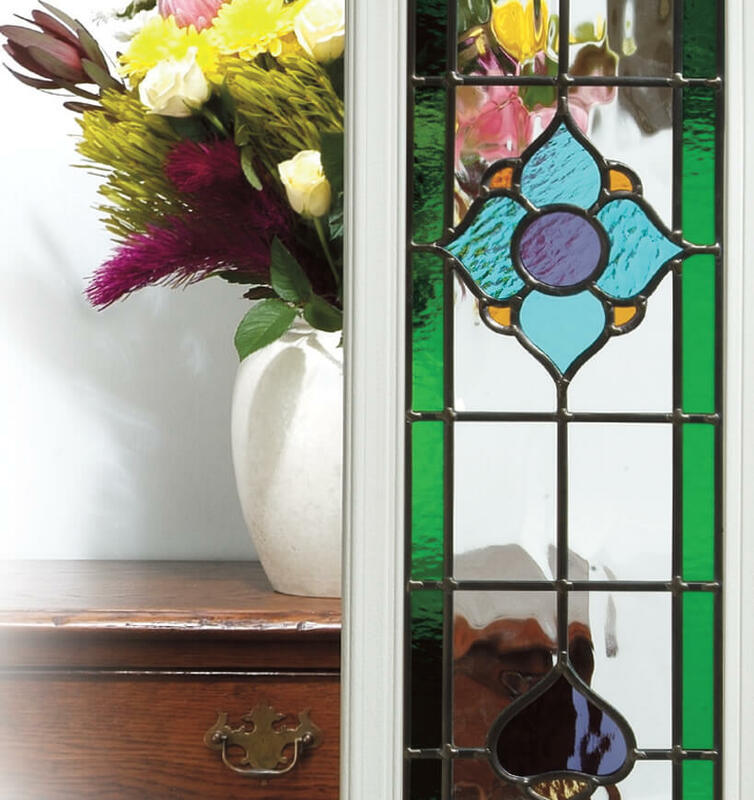 Genuine coloured Spectrum Glass with blackened lead combine to create this stunning leadlight design, reminiscent of the Victorian era. Using multi-patented ‘Future Unit’ technology, you can now have all the benefits of traditional leadlights, with the performance and thermal properties you would expect in a composite door. 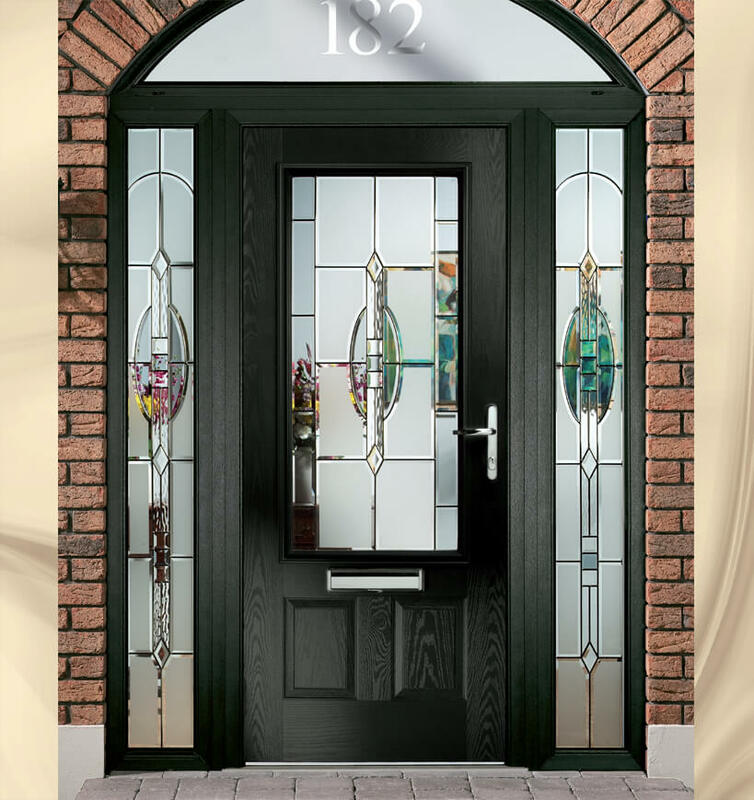 With our extensive range of glass patterns, it is now possible to choose a side panel unit containing a texture to complement the glass design in your entrance door. The range contains the complete Pilkington Texture collection and several exclusive patterns. 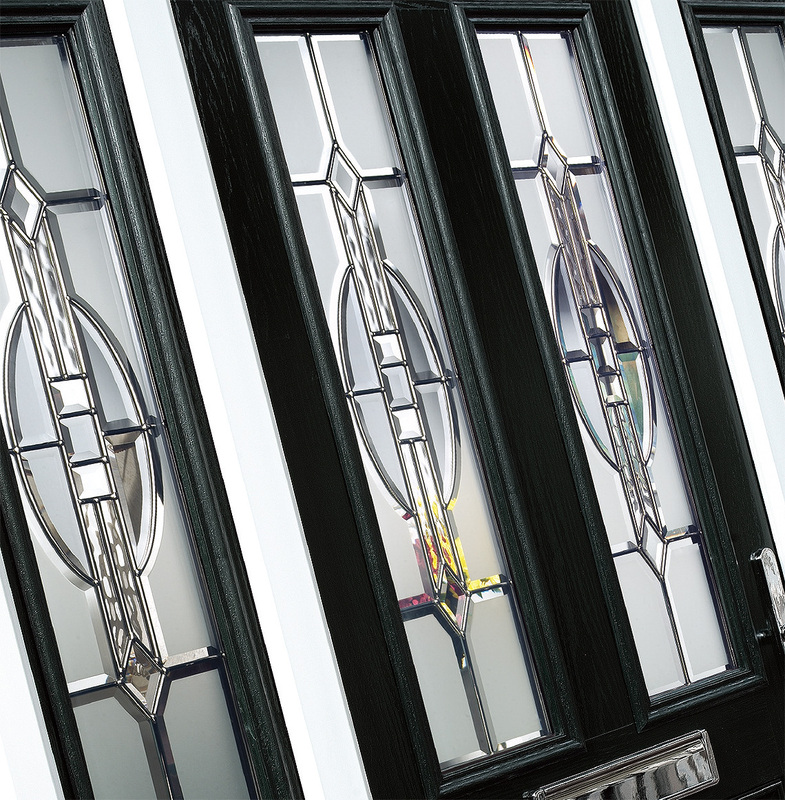 Complementary glass option is available for both Sidelights and toplights and is manufactured as triple glazed using warm edge spacer and low E glass to exceed current UK building regulations.